In an attempt to make your life a little easier and the process more enjoyable, we’ve put together a list of surf trip essentials. Of course, some items on your checklist will depend on the destination and length of your trip and whether you’ll be staying at a surf camp or not, so feel free to select what you need. If you’re new to surfing, travel hassle and worry-free by joining a surf camp for beginners. They’ll take care of all the details when it comes to the surfing equipment. In that case, you can skip the first few items on our list and only pack your swimsuit and a few other personal items listed below. Whether you like to pack days in advance or wait until the very last minute (I am guilty of that! ), we hope this guide will help you make the most of your time away. Let’s start with the most obvious item on the list. You need a surfboard to surf, duh. Of course, if you’ll be going on a surf camp, you won’t need to bring your own. All of the equipment will be provided, from surfboard and leash to wetsuit. 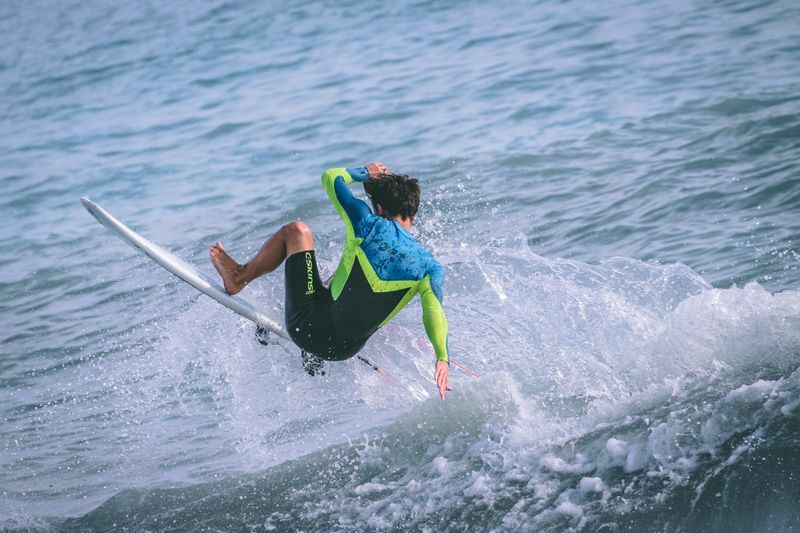 When traveling to popular surfing spots, even seasoned surfers often prefer to rent surfboards or join a budget surf camp when arriving at their destination. It is much more convenient, not to mention cheaper! Extra baggage charges for sports gear have skyrocketed over the past years. Plus, this saves you the hassle of traveling with bulky luggage. But, as we all know, there are countless world-class spots that do not have any facilities. In this case, you’re left with only one option – to bring your own surfboard. 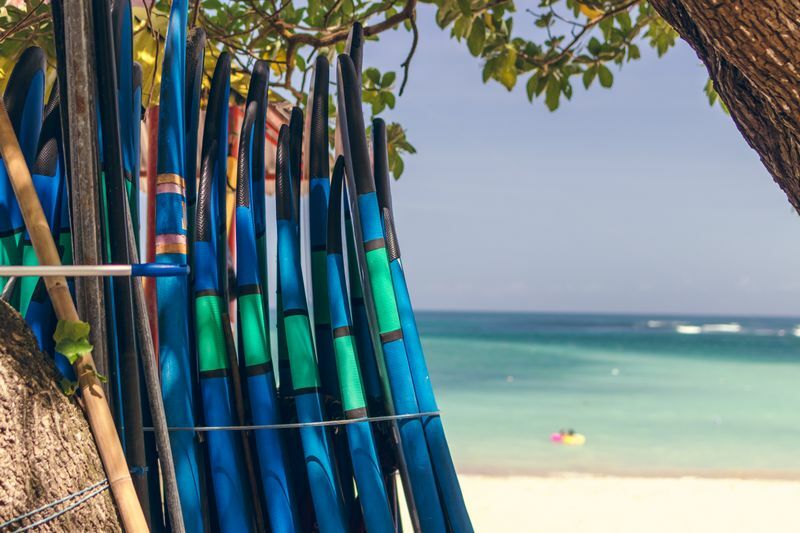 Depending on where you travel to surf and the length of your stay, your quiver may differ in size and shape. If you’re venturing on a short trip and you already know the surf forecast and conditions in which you’ll be surfing, then you can pack just one surfboard. If you’re traveling for an extended period, a two-surfboard quiver is recommended. This way, you’ll have a backup in case you break or damage your board. Furthermore, different surf breaks and conditions require different surfboards. If you’re unsure or you have never surfed in the respective spot before, bring a good all-rounder surfboard as your first board. When you’re traveling with your surfboard, chances are it will hit something at one point. Surfboard travel bags make a world of difference and will save yourself from the stress of having to fix anything from minor dings to actual cracks. Most travel bags come with 10mm foam padding, and you should opt for one that is at least that thick. Bringing extra sets of fins and at least two fin keys is not negotiable. You might break a fin or the surfing conditions may change. Therefore, it’s good to bring two or three sets. And of course, you need a fin key to change them. But knowing how they always get misplaced or miraculously disappear, bring along two. Bring new or slightly used leashes, one for each surfboard. Don’t pack any old leashes. 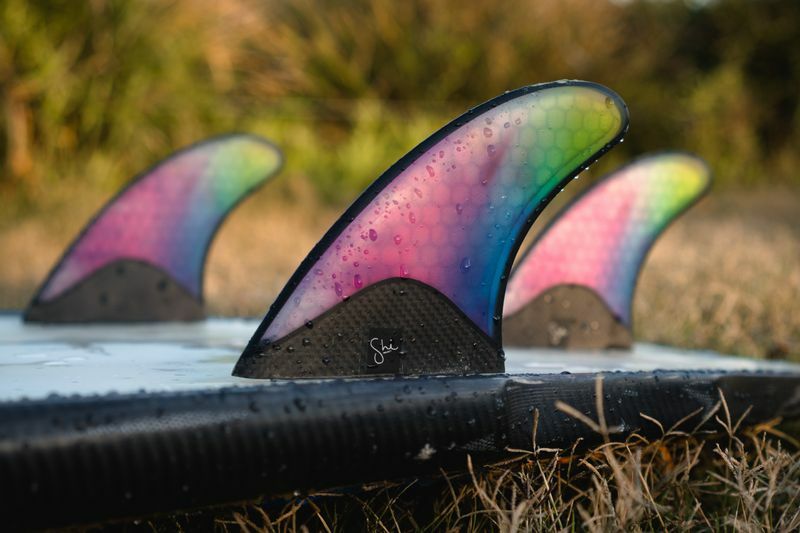 They might snap out of the blue, especially if you’re surfing in rougher conditions or reef breaks. You could lose your board and swim all the way to shore. Do a thorough inspection of your leashes before packing them – check for any nicks and weak points. We all have that friend who always forgets to bring their own and will use yours. Wax is something that is usually shared, and it always seems like you’re running out of it before you know it. Pack enough wax for your entire trip, plus a little extra. It’s cheaper to bring your own wax than to buy it at your destination. 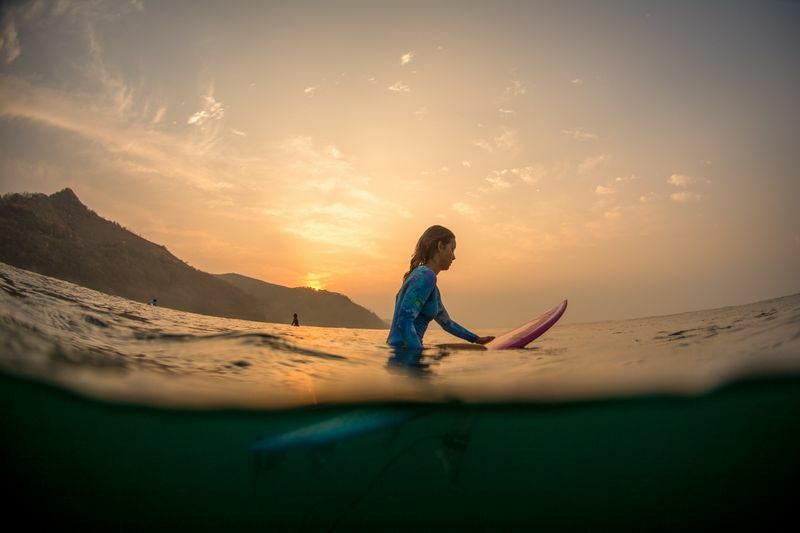 Will you be traveling to a surf destination with warm water or cold water? Pack the appropriate wax! Tropical and warm water wax is harder than cold and cool water wax. 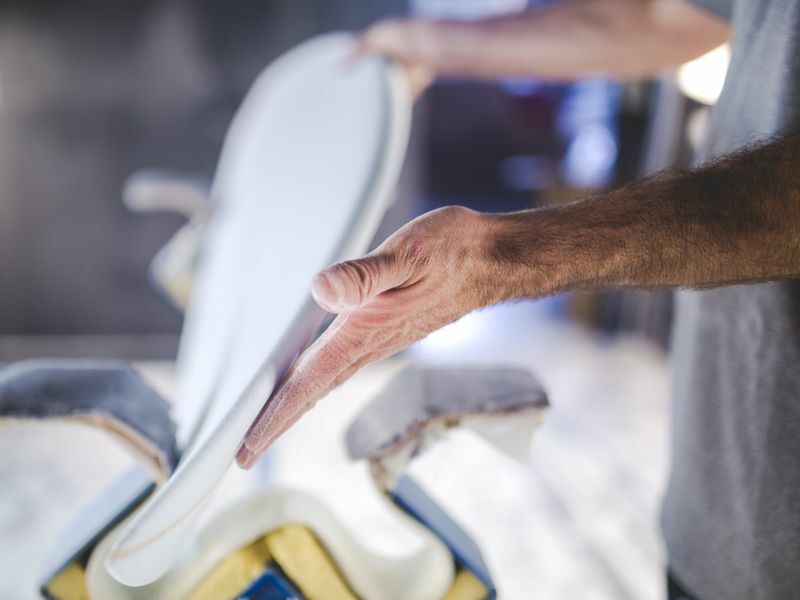 Using cold water wax, which is the softest, when surfing in tropical water will make your surfboard seem like it’s covered in goo. You should remove the wax from your board before the flight, so pack a wax comb as well. Also, if you are traveling from a warm water destination to a cold water one or vice versa, make sure you remove the wax before reapplying. Dings during a surf trip are not uncommon. Depending on the location you’ll be traveling to, there may be shops that fix dings. But it is much more convenient if you repair minor dings yourself. A small ding repair kit is not expensive, and will not take up too much space. The surfwear you should bring along on your trip entirely depends on where you’ll be surfing. Don’t just take the destination into account, but also the seasonality, as temperatures may differ throughout the year. Do your research on the average water temps during the period that you’ll be there. Then, decide whether you’ll be able to surf in your swimsuit/boardshorts, with a rash guard, or a wetsuit. If you’re heading to a warm water surfing destination, then you’re in luck! You’ll be surfing in your swimsuit or boardshorts. Bring three changes of swimsuits/bikinis or boardshorts. You might rip a pair. Plus, you wouldn’t want to head out for that sunset surf sesh in dripping wet boardshorts. Surfing in bikinis or boardshorts is cool, no doubt about it. Who doesn’t love that sense of freedom, the warm water kissing your bare skin… and the rashes all over your torso at the end of the day? Not so cool. Rashguards protect you against cuts and sunburns, but also against the wax on your surfboard, which is not that friendly to your skin, especially your torso. Hence the name, rash guard. You can wear a short-sleeve or a long-sleeve rashguard in warm water for an added protection against UV rays. Some offer SPF50+. Or, you can wear it under your wetsuit for additional warmth in cold water. 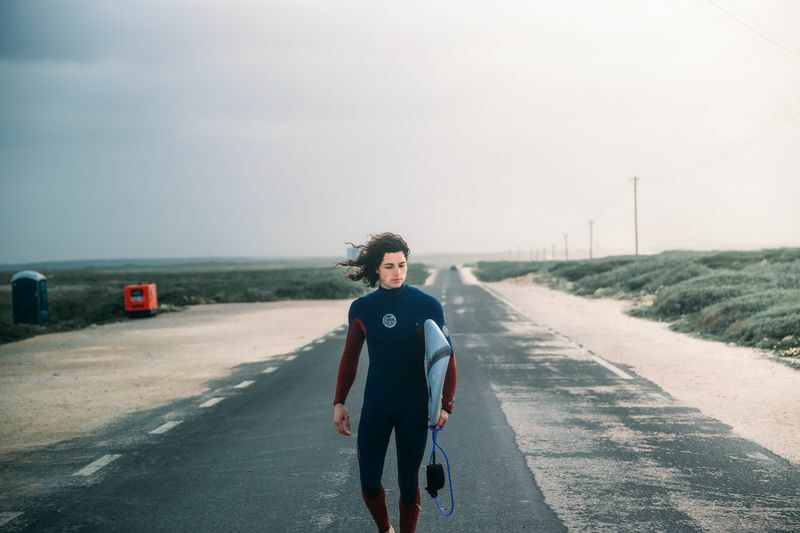 There are many different types of wetsuits, from spring suits to full suits. Spring suits are the lighter version, and usually come in a 2/1 thickness (the first number refers to the thickness in the chest – 2mm – and the second to the thickness in the arms and legs – 1mm), and can have either short or long arms and legs. They are the go-to option when water temperatures drop below 22°C (72°F). The standard wetsuit is the full suit. The main thicknesses are 3/2 and 4/3. The thickness will depend on the temperature of the water you’ll be surfing in. A 3/2 suit is excellent for water temperatures that hover around 17-20°F (63-68°F). Below 15°C (60°F), you might want to reach for that 3/4, as well as booties and gloves. Below 11°C (52°F), grab a 5/4/3 with hood, booties, and gloves. Below 6 °C, the 6/5/4 suit is imperative. If you know that the water will be cold, pack a pair of booties. But that’s not all that booties are good for. Reef cuts are nasty and difficult to heal; they can keep you out of the water for days. If you’ll be surfing reef breaks or you know that there are sea urchins in the respective spot, pack your booties for extra protection. 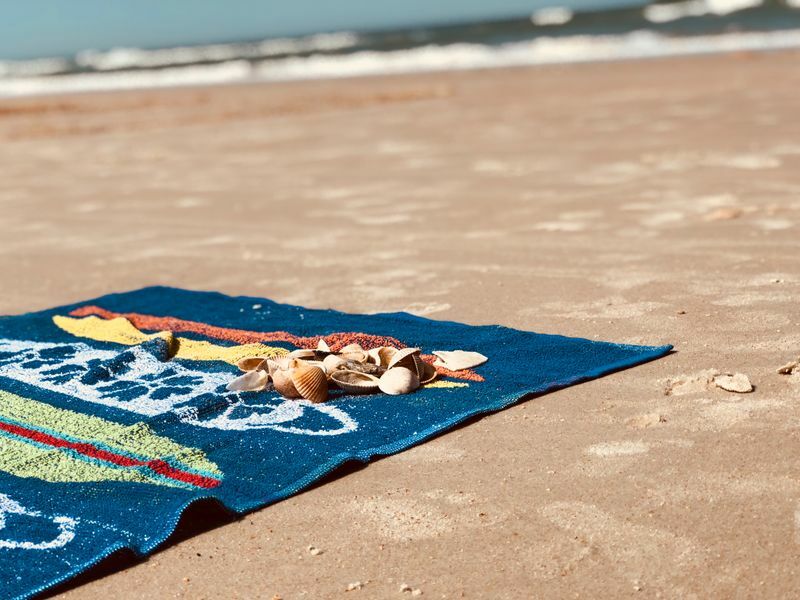 Beach towels are bulky and take longer to dry. Therefore, I highly recommend packing one or two microfiber travel towels. These have incredible absorptive power, are lightweight, and do not take up too much space. Plus, they dry very fast. Don’t go thinking that you need to pack sunscreen only when you travel to a sunny or tropical destination, like Bali or the Philippines. UV rays are everywhere, and they are merciless. Even when you’re surfing in a wetsuit, your face is still exposed. Do not underestimate the sun. Apply sunscreen, regardless of the weather. When it’s sunny, do not use anything under SPF 50. I recommend using a zinc-based sunscreen for both your face and body. It is usually thick and sticks to your skin. It is also visible on your body, making it easy to know when to reapply. 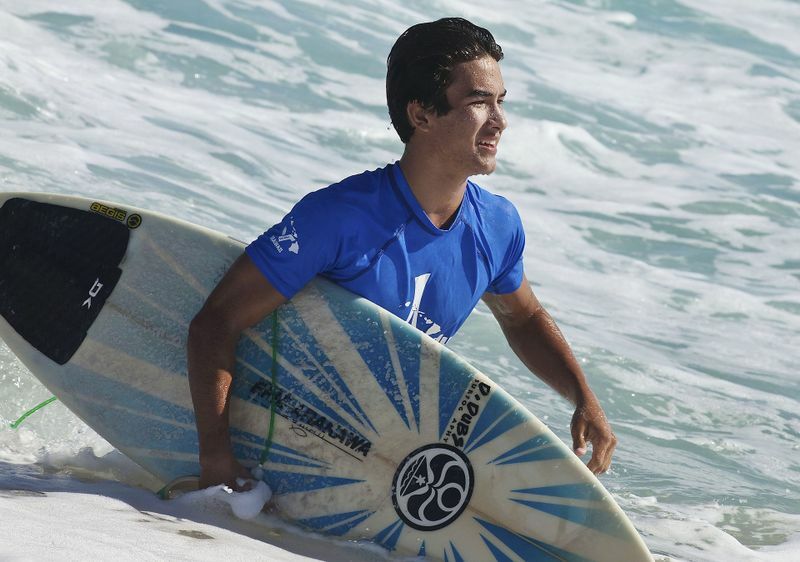 You’ve probably heard of exostosis, more commonly known as surfer’s ear. If you’ll be surfing in cold water or you know that you have sensitive ears, make sure you don’t forget this small but indispensable item at home. 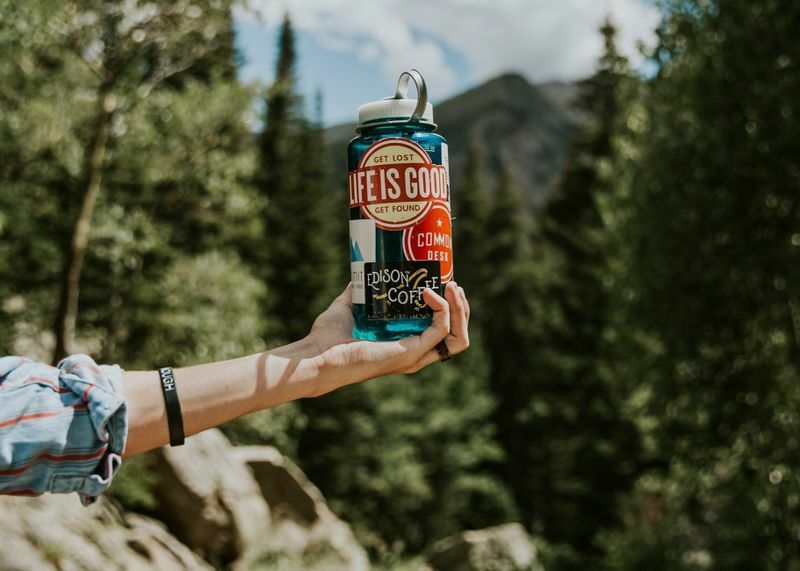 Staying hydrated at the beach is a must, but buying a plastic bottle each time you feel thirsty is not a sustainable solution. Instead, pack a reusable BPA/BPS-free plastic bottle that you can simply refill with water from the tap or filter. Keep your change of clothes, towel, keys, gadgets, and other accessories safe and dry by packing everything you need for the day in a water-resistant travel bag. A water-resistant duffel is a perfect daypack for the beach, especially if you’ll be traveling by boat or the weather is bad. Don’t leave home without the essential documents that you cannot hop in the car or board on the plane without. This includes your ID, driver’s license, and travel insurance. Depending on where you’ll be traveling to, you might need a passport and a visa too. Make sure that your passport has at least six months validity. Do your research on visa requirements well in advance. For some countries, you might also need vaccinations. Don’t forget to make copies of all your important documents! Of course, you should not forget about clothes and toiletries. And you can include other items on your list, especially if you have enough room to spare. An international charger will come in handy, and so will a good book to keep you company. To immortalize those special moments on the trip, bring along a waterproof camera, like a GoPro. Last but not least, don’t forget to pack a positive attitude and always wear a smile on your face! 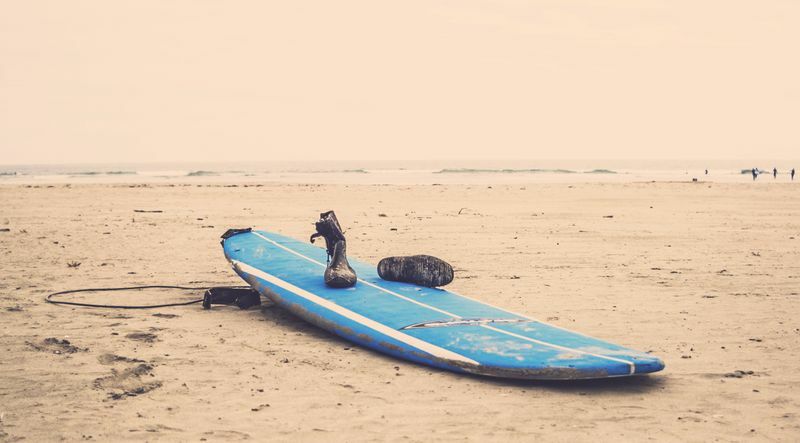 Not ready to go surfing all by yourself yet? You can save yourself the hassle of having to invest in surfing gear and having to pack all of it for your trip by joining a surf camp!